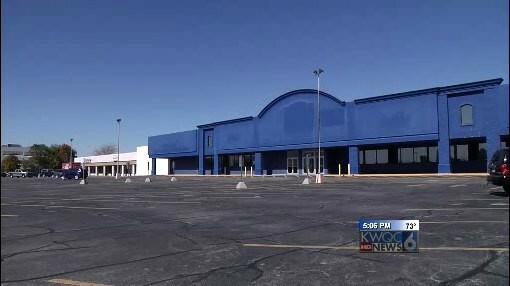 DAVENPORT, Iowa (KWQC) - A fresh food store is planned to arrive in Davenport at 2100 E, Kimberly Road. An outside real estate investment company, PEBB Enterprises, is proposing to redevelop the piece of property formally known as Spring Village Shopping Center. The new center will be known as the Fresh Thyme Square after the main tenant, Fresh Thyme Farmer's Market. "Yeah, I will try it for sure. I like to try new things," said Davenport resident, Tara Nemitz. Many residents feel that this new development could be a positive addition to the community. "I hope it helps the economy because it kind of looks crappy over there with the big empty thing so," said Ashley Garnass. Since PEBB plans to remodel the the entire center, other local businesses such as Vision for Less and Zeke's Island Cafe will be torn down. "Its going to be hard to see it go, said Assistant Manager of Zeke, Brett Nelson. "I'm sure a lot of people will be sad." Zeke's has resided in the location for about a year and a half, and the management team says this change might not necessarily be bad. "Well I believe that basically we have made progress throughout the time that we have been here and we also want to evolve," said Nelson. "We aren't exactly sure what our future is going to bring us, but do matter what we do we are pretty relentless in our pursuits. So, we will take care of our customers no matter where we are.